Yuri Gagarin, the first man in orbit around the Earth, was rewarded with home appliances, furniture, bed sheets and crockery for his achievement. 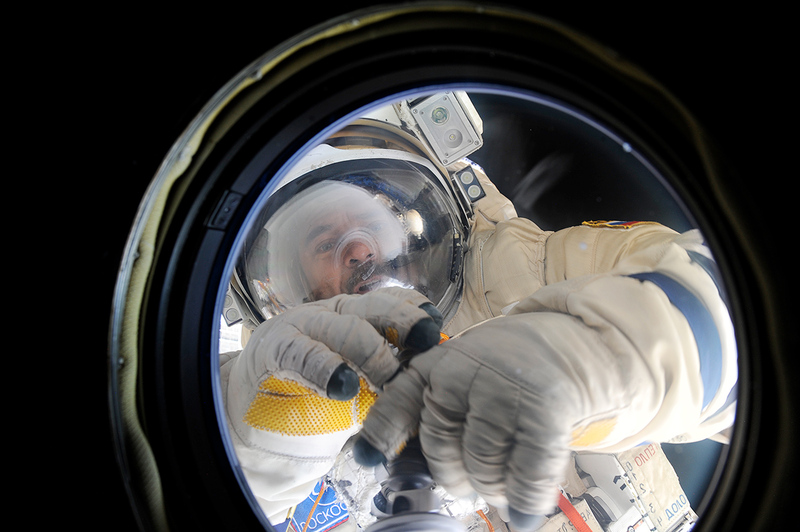 How do Russian cosmonauts live today? How much do they earn, what do they eat and what are their responsibilities? The first man in space had two salaries: one as a military pilot and another as a cosmonaut. As a cosmonaut he received his salary once, for those hours he spent in space. Moreover, for his famous flight Gagarin was rewarded with gifts - an apartment, a Volga automobile, a set of clothes, carpeting and much more. The first woman in space - Valentina Tereshkova - also received an apartment, and was given lady's accessories such as dresses, bags, stockings and shoes. The tradition of differentiating pay for both the "sky" and "space" continues today. Russian cosmonauts are usually first-class military and civilian test pilots, and the state pays for their work "on Earth" to the tune of $1,500 to $2,500 a month. Furthermore, they receive additional payments for years in service and number of test flights, as well as government awards. This can range from 40 to 140 percent of their monthly salaries. For their time in space they earn about $25,000 a month. NASA astronauts, by comparison, annually earn between $66,000 and $155,000 for their Earth-based work, depending on their level of qualifications. The income "in orbit" is higher, but the difference is not as much as the salaries of their Russian colleagues. A NASA astronaut's annual space salary can be about $170,000. Cosmonauts are selected for the job based on psychological compatibility and height. Usually, they’re short because less weight means less fuel consumption. Preparation for space flight doesn’t take much time, and cosmonauts are usually selected from among military test pilots and are already in excellent physical shape. The incredible stress they endure when flying the latest military planes, catapulting out of the cockpit and executing intricate flying maneuvers demands great preparation. "I think that if you need to, you can prepare a cosmonaut in a few months. It also depends on the function and tasks that he or she will perform on board the spacecraft," said Musa Manarov, the legendary Soviet and Russian cosmonaut. Russian cosmonauts don’t have a preparatory or "orbital" diet, but the Center for Flight Management is serious about nutrition. Before sending a man to space, the center's employees and doctors study his food preferences, prepare a balanced menu and then send it to the chefs. An entire company works for the Russian Space Center producing special cosmonaut food. The menu is diverse, from borsch to barbecued meats, and there are mandatory dishes to maintain a healthy supply of vitamins and minerals. While in Earth's orbit, sunsets and sunrises alternate every 90 minutes, which means that in one Earth day the cosmonauts see the sun rising 16 times. Still, they live according to earthly time in order to avoid upsetting their biological rhythms and spare themselves insomnia. Another perk of space travel is that due to zero gravity cosmonauts don’t snore. A career, or just a flash in the sky? Only a few cosmonauts have flown to orbit several times, and most have been limited to one or two flights. Many are prepared for specific scientific and technical tasks. The prime age of a cosmonaut is 32-38, which is considered ideal for flights, but there were cases when cosmonauts flew to orbit when they were much older. In 2013, Pavel Vinogradov celebrated his 60th birthday in space, and American astronaut John Glenn was 77 when he flew to space for the last time. Time spent in orbit is also a technical question. Russian cosmonaut Valery Polyakov holds the record for the number of days in orbit, when he lived in space on the Mir station for 438 days.